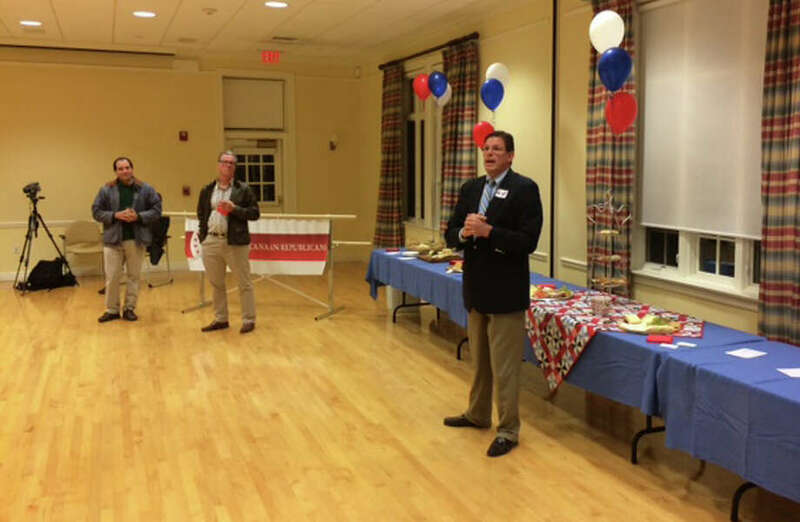 Six Republican candidates running in November's election to represent New Canaan met Monday with voters at the Lapham Community Center at a program sponsored by the New Canaan Republican Town Committee. About 60 voters attended the event, which featured local state Senate candidates L. Scott Frantz and Toni Boucher, state House of Representatives candidates Tom O'Dea and Fred Wilms, secretary of the state candidate Peter Lumaj, and Darien-New Canaan probate judge candidate Bill Ostendorf. RTC member Patricia Nietsch said it was "a great event" and an opportunity for voters to meet and chat with GOP candidates who will be on the Nov. 4 election ballot.